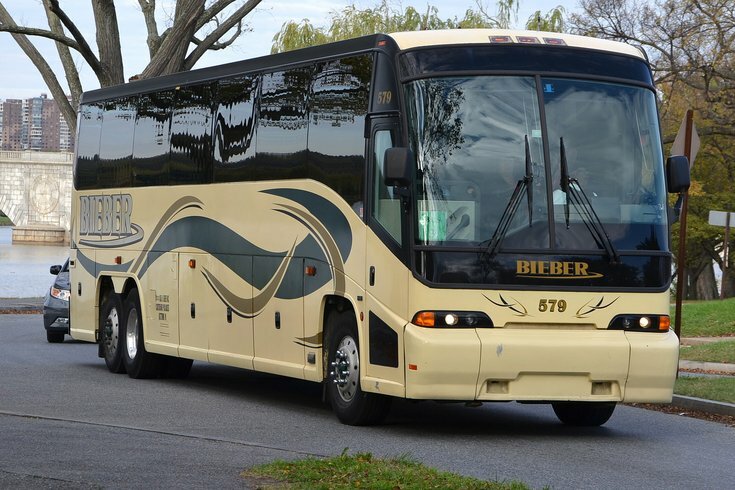 A Bieber Transportation Group bus. Berks County-based Bieber Transportation Group is closing its bus lines after serving the Lehigh Valley for 72 years. The bus line, which began service in 1946, issued a release on its website Friday evening explaining the decision was due in part to lower ridership and higher expenses. The company said it has terminated operations effective immediately. We would like to express our sincere thanks to our loyal customers who have supported us over the years,” the release read. As of 6:10 p.m. on Friday evening, at least one Bieber bus was running from Manhattan, but the later rides on Friday were cancelled according to the company’s website. The company’s fleet included 54 buses capable of carrying 33 to 56 passengers between its 11 stations, including stops in New York City, Philadelphia, and Allentown. "Seventy-two years they were here in the city of Reading," Reading Mayor Wally Scott told WFMZ on Friday. I used to ride on the Bieber bus. I'm just sad to see it go, but that's the trend of what's happening in the world today." Last year, Bieber was run out of the Port Authority Bus Terminal in Manhattan because it owed $214,000 in fees.